Quinns Painting & Decorating is Melbourne’s best wallpaper supplier and wallpaper installation business. Whether you are looking to update your office walls or give your home a unique look, you can rely on Quinns Painting & Decorating wallpaper services. Get in touch by call us on (03) 8804 5840 to organise an onsite consultation. The practical advantage of opting for wallpapers instead of traditional paint is that if you have any cracked or uneven walls, textured wallpaper can help you hide them and make your wall look beautiful. With hundreds of designs to choose from, Quinns Painting and Decorating is the one-stop solution for wallpapers in Melbourne. Our wallpapers are made using high-quality thick premium paper with European, bold and contemporary designs. Our wallpapers are ideal for offices, restaurants, homes, shops, café, and other spaces. From a fairy tale kid’s rooms to the elegant traditional room, any space can be converted and given a new life with our durable wallpapers. At Quinns Painting & Decorating, we provide the latest designs and wallpaper trends to our customers. Choose from a wide range of textures and patterns to give your walls a luxurious look. Our wallpapers are sourced from the world’s best wallpaper manufacturers. Ask for our wallpaper catalogue from our team today. Quinns Painting & Decorating provides professional wallpaper installation service in Melbourne. 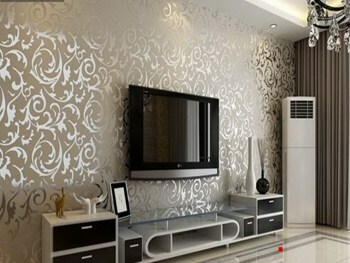 We will install your wallpaper smoothly and will give your wallpaper a flawless and professional finish. We guarantee you the highest quality wallpaper installation services with no creases or bubbles. Our experienced and professional tradesmen ensure every cut is done precisely and every corner rounded neatly. 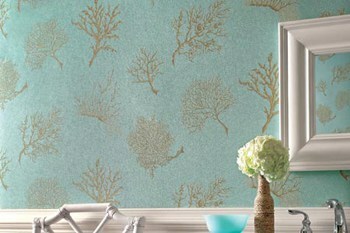 Select from our wide range of wallpapers or ask for a free consultation and estimate. Call Quinns Painting today on (03) 8804 5840.